Many times I have been saved by this promo from starving. Seriously. Like that one time when I had only enough cash in my wallet to pay for parking. All I had to do was show the applicable Shop Anywhere coupon on my cellphone to the participating fast food cashier and- voila!- free food. Plus. I like the idea of being rewarded with a meal after having used my credit card to pay for something worth at least Php2,500. It's like being told: It's ok, we'll worry about how to pay for that later. Meantime, here, have a Chickenjoy. 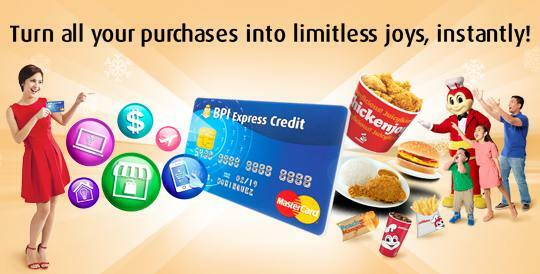 The promo is ongoing for all existing principal BPI Express Credit Classic and MasterCard cardholders until January 31, 2016.